I’ve heard a lot about CrossFit over the past couple of years, but I didn’t have the chance to try it until this past weekend. I know lots of you have heard of CrossFit and know what it’s all about, but for those who may not have, it’s a type of relatively high intensity strength training workout done at different CrossFit gyms (or as CrossFitters refer to them, “boxes”). My sister is an avid runner but she’s been doing CrossFit for the past year and has gotten seriously ripped, so I invited myself along to her workout on Saturday morning. Her gym does a partner WOD (workout of the day) on Saturdays, so we got to do all of the exercises together, which was fun. Some of you may know that I’m a cardio queen, and even though I know strength training is important, my workout of choice is always running. I’m pretty unenthusiastic about lifting weights in general, mostly because I really like exercising outside and I really love running. I’ve been trying to add more strength training into my workout routine this year, though, so I was excited to give CrossFit a try. I was expecting the workout to last 20 minutes or so since my sister said that’s the typical length, but the Saturday workout actually lasted about 40 minutes after the warm-up. If I had to describe the experience in one word, I’d say it was HUMBLING. I’d like to think I’m in decent shape, but the burpee leap frogs (alternating doing burpees with a partner and jumping sideways over your partner after each one) and push presses with a barbell were killer. I was glad that running was incorporated into the workout in the form of a 200 meter burden run wearing a weighted vest or carrying a medicine ball because I could look forward to the running parts almost as a “break” from the other movements I wasn’t used to doing. 1. I don’t dislike strength training as much as I thought I did. 2. I’m in worse shape than I thought I was. Absolutely! It was a great workout and I like the idea of short, efficient, high-intensity exercise. I won’t be joining the CrossFit gym this year, though, for two main reasons. First, convenience. I’d have to drive to the gym and the car I share with my sister is parked at her dorm, almost a mile away from mine, so it wouldn’t be realistic for me to do it more than once per week or so based on my current schedule. Second, cost. Even with a 10% student discount, the membership fee at our local CrossFit gym is pretty hefty ($160/month), which I wouldn’t be able to justify, especially if I was only going once or twice per week. I’m definitely motivated to start going to more (free!) strength training classes at the campus gyms, though, because I’ve begun to see how beneficial it is to get stronger. I’ve actually been taking a weight training P.E. class this semester and have been surprised by the fact that I’ve almost started to enjoy lifting weights. The class meets two days per week, and once the semester ends, I’m going to recruit a couple of gym buddies to hit the gym a couple of times per week either for strength classes or lifting weights. And in the future, who knows? Maybe I’ll be able to make CrossFit part of my everyday routine. If you’re interested in checking it out, I’d definitely recommend checking with a CrossFit near you to see if you can get a guest pass! Have you ever done CrossFit? 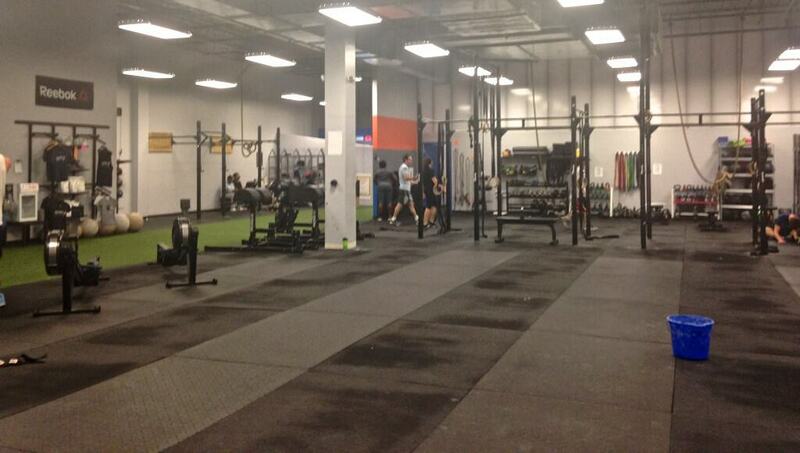 Any avid CrossFitters out there who want to chime in about their experience? How do you usually do your strength training? (group fitness classes, DVDs, rock climbing, etc.)? What Really Small Things Make You Happy? I would love to try CrossFit (although I can see myself facing the same challenges as you: 10 mile run- definitely doable, 10 burpees- struggling!). Running will always be number one, but I am getting more into trying a wider range of fitness classes and strength-orientated workouts- especially free ones! Whew that looks tough! But anything with burpees looks impossible to me haha. 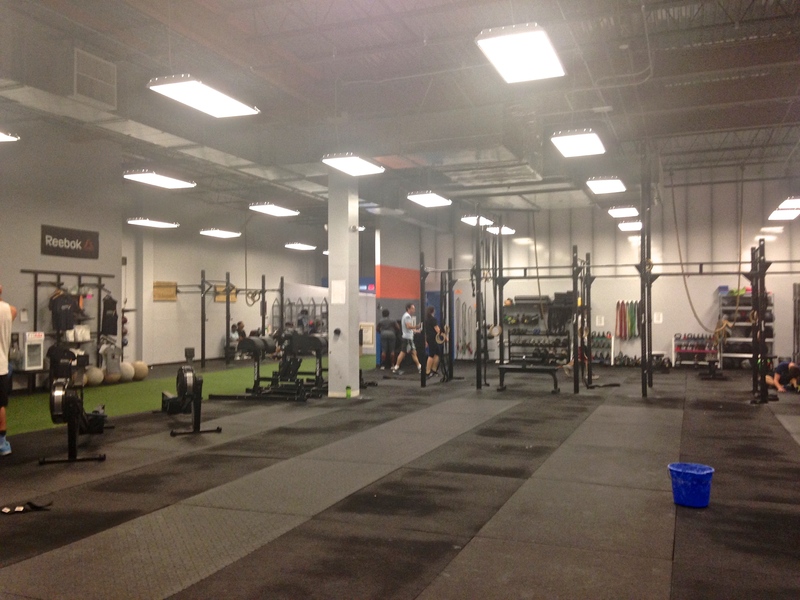 I did an intro session at the Crossfit box near my house in Tampa but never went back. I would like to explore it though. The price is a deterrent. I’d really like to try Crossfit, even though I know it’d be majorly humbling and tough! The cost would probably keep me from making it a regular thing for now, too, though! I’m trying CrossFit for the first time on Wednesday! A girlfriend and I figured why not – we’ve heard rave reviews about our local “box”, so I’m super excited to try!! Ahhh, you’ll have to let us know how it goes on your blog! Hope you enjoy it! Woop woop! 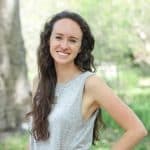 Like you, I am a huge cardio queen so I was especially interested in this posts and your thoughts! 🙂 Was it easy to just “drop in” and try a crossfit class without any background? I think I would like some of the workouts, and the idea of people pushing you to your limits, but I haven’t tried before! Glad to hear you were a fan, but I didn’t realize it was that pricey! I’m so stoked that you got to try out crossfit and you liked it!! I’ve never gone to an actual box, but a lot of the workouts I do are crossfit related. I love strength training, and the incporation of strength and cardio into a workout is basically my dream come true. But I HATE running, so thats probably why I love it so much 🙂 I just love feeling totally SPENT after my workout! I have wanted to try crossfit for awhile now as I love all workouts both strength training and cardio! Although I still have favorites in each! Unfortunately the don’t offer such a class at my college town or hometown! It’s so sad!! How many times a week does your sister go to crossfit? My sister goes to CrossFit almost every day, so she definitely gets her money’s worth out of her membership! Hope you have a great week, too, Katerina! Whoa, good for you! CrossFit seems so intimidating for me! I powerlift in order to build up my strength. Since you already run a lot, I think powerlifting would be good for you because it focuses on building strength and you can powerlift at pretty much any gym. 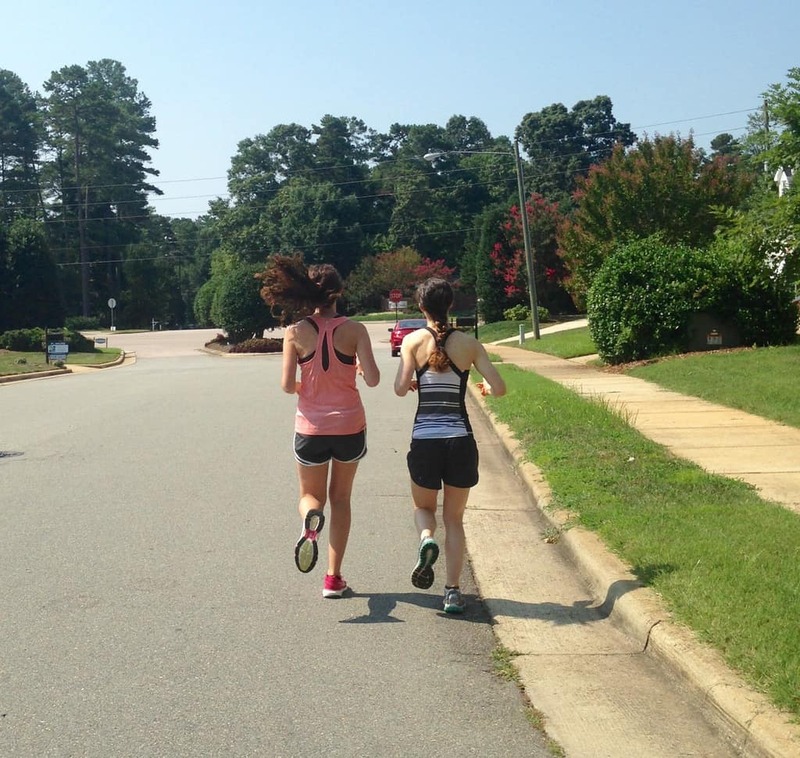 I’m like the opposite of you, in that I’m trying to get into running because all I do for exercise is lift. Your blog is definitely helping me! I’ve never tried crossfit but over the summer I joined a crossfitish bootcamp. I had to stop due to cost unfortunately! I really loved it while I was there!! I also love to run and lifting weights at the gym kind of intimidates me. I think I would really like the group mentality of Cross Fit, also I love a good challenge! Good for you girly for trying it! Lifting weights at the gym intimidates me a littleee bit, too, but I think going with other people helps SO much! 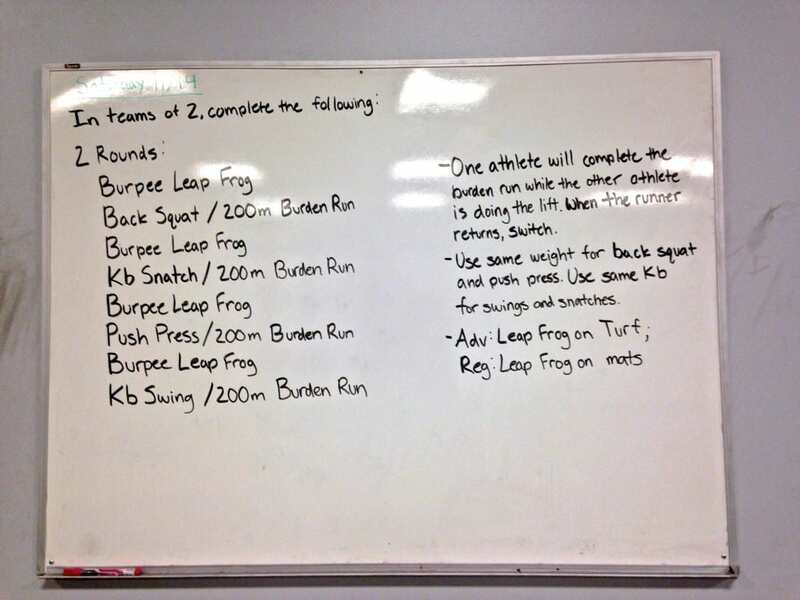 I have never tried my hand at Cross Fit, but I am not a fan of group exercise in any sense. I get too intimidated! I love that you’re working out of your comfort zone and expanding your horizons! Sounds like so much fun even if it may not be your thing. I hope you go back! Great point about endurance, Brie! Being in running shape definitely helped me play catch up during the running parts of the workout 🙂 I agree that lots of runners have a mentally tough edge since we’re used to enduring discomfort! Kudos to you for branching out, girl! I think I will try it out one day. I love the community and relatively short workouts… However I freaking hate burpees! There was a shirt at the CrossFit gym that said, “Burpees don’t like you, either” hahaha. I’ve been wanting to give crossfit a try myself. However the prices in Kuwait are outrageous & I’d have to drive a good distance to any of the boxes. Maybe I’ll stop in for a session while visiting the States next year?! Glad you & your sister had a fun time together though. 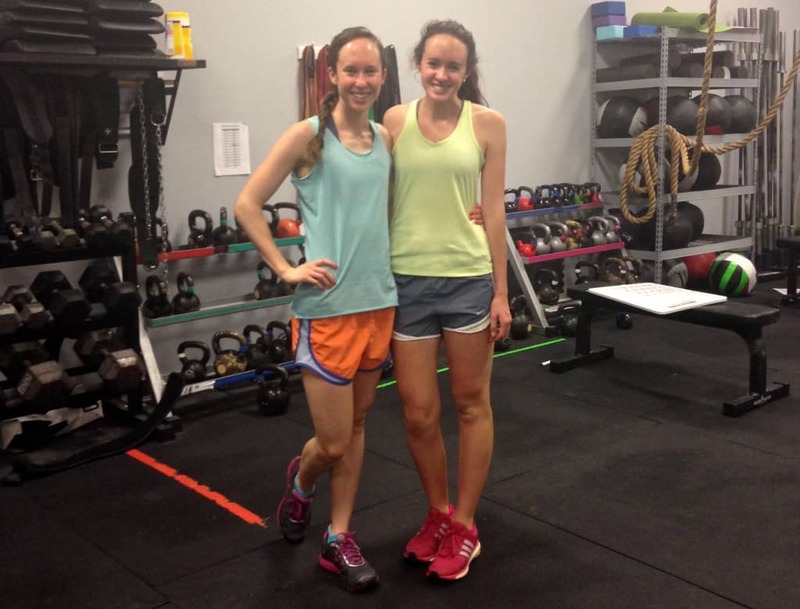 The first time I did crossfit it was…a work event!! Seriously – not the greatest to be learning that burpees are HARD in front of your co-workers (one of those co-workers which you are secretly dating). I think the box jumps were the worst for me. I’ve never tried Crossfit, but I really liked the weight lifting classes I took in college. That was just $3/class, I can’t imagine paying that much for a box membership! That’s very cool you got to do a partner WOD with your sister, that must have made it extra fun. Wow, I was just inquiring with a Crossfit gym in our town about price, and that’s what turns me away. I LOVE short, high-efficiency workouts, but I’m not sure that I have $90.00 to donate each month. What I love most about Crossfit is that, I don’t just get fit. I also win a lot of friends! My first Crossfit experience is as exciting as yours! I think you definitely did the right thing starting on a partner WOD with your sister. It can be a bit intimidating coming into Crossfit never having done any lifting. The WOD looked like a tough one as well so kudos! I have been doing Crossfit for 2-3 years now, but before that I was like you, a runner and cardio beast! Crossfit has evened me out and I am now MUCH more well rounded. Did you ever go back for more, or sign up? I remember my first time…fondly. Ahem…it was more like a prison camp. But, I came back the next week and kept coming back!